Spring is just around the corner and that means summer vacation time. It's not too soon to book your summer cottage. Your hosts at Pinewood are working hard to get everything ready for your arrival. Spring cleaning and renovations are under way. 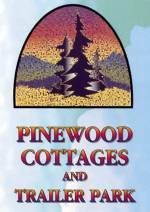 Pinewood Cottages and Trailer Park is renowned for return clients, its friendly relaxing atmosphere, and great fishing and boating. Because of its popularity and location close to Toronto, people know to book early to get what they want. We are now accepting bookings for the spaces we still have available, but they are going quickly. Avoid being disappointed and book your vacation time NOW! Contact us at 705-799-5591. Be sure to leave a message and your call will be returned quickly.